Do you worry about the chemicals in your skin care regimen and how they work? 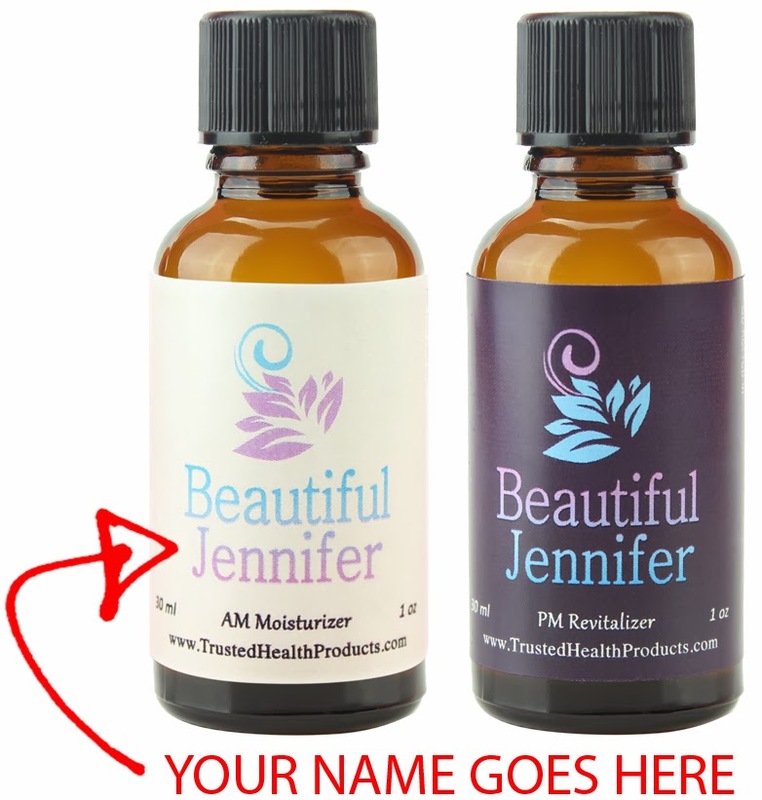 Would you like to detox your skin while replacing all of your anti aging creams, cleaners, firming creams, exfoliates, moisturizers, night creams, make up removers, lotions and more with two small bottles of oil? At first I was skeptical of applying oil to my face. I had a baby a few weeks ago and my skin has been a mess with my hormones and erratic sleeping patterns. I wanted to try Trusted Health's Beautiful AM Moisturizer and PM Revitalizer in hopes of helping my complexion return to normal. To use Beautiful you place 2 or 3 drops on each cheek and spread it over your face using a circular motion. After waiting 3 minutes you can blot any remaining oil off of your face. The oil smells really great, the lemon and orange oils are prominent and pleasant. It is easy enough to apply and the oil did absorb easily into my skin. I had been worried about having an oily complexion, but that wasn't the case. I used the Beautiful Oil for 3 weeks in the morning and in the evening. 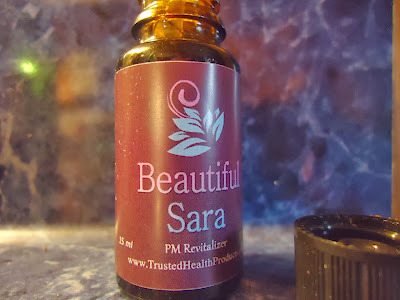 I didn't notice much difference in the appearance of my skin other than it felt very moisturized but I did notice that applying the oil was relaxing, it took less time that my other skin care products to use, and I loved that it multi tasks! I would like to continue using this product to gauge the results in a few weeks. PS: Don't forget to check their Natural Health Blog and Newsletter. A. M. Ingredients: 100% Pure Botanical oils of almond, orange, lemon, avocado and olive. OFFER: The manufacturer is willing to offer my readers one FREE bottle. They said they would love to have our readers try out Beautiful A.M. Moisturizer (for women) or You’re the Man A.M. Moisturizer (for men) and agreed to send one bottle FREE if our readers would pay a minimal shipping and handling charge. This is a one-time only offer! They also agreed to include 2 eye-opening reports – The Poisons You Put On Your Face Everyday and Why Your Skin Care Products Have Never Worked: The Truth Revealed .” That’s a total value of over $40.00. 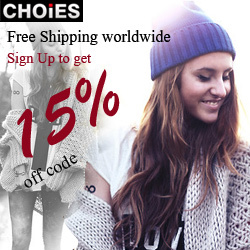 Click here to get your FREE Bottle and FREE reports now! And everyone who “likes” their Facebook page saves $5 on their first order! 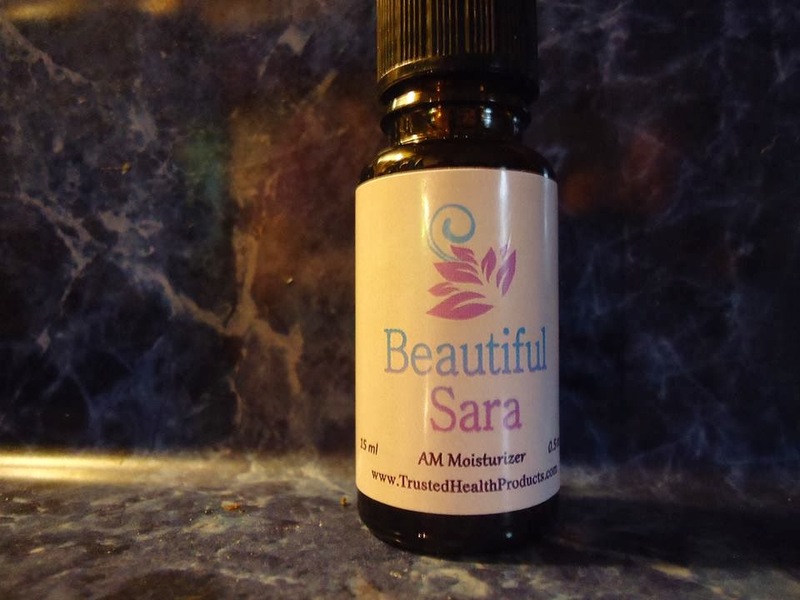 BUY IT: Beautiful AM .5oz is $24.97; Beautiful PM .5oz is $24.97; Beautiful AM/PM .5oz Set is $44.94. Men’s line of this skin care system – You’re the Man – is available as well.